Greetings Lords and Ladies! 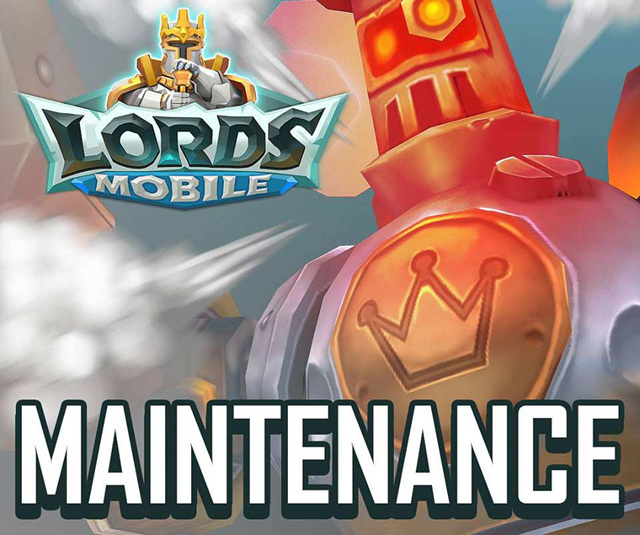 Our royal maintenance crew is sprucing up the kingdoms to improve your Lords Mobile experience! They'll be working from 07/26/2018 01:00 – 07/26/2018 02:00 (GMT-5) (there may be delays; check the maintenance window for the latest estimated maintenance duration). To prevent any errors, please do not engage in military actions before the maintenance. 600 Gems will be credited to your account once our royal crew's work is done.